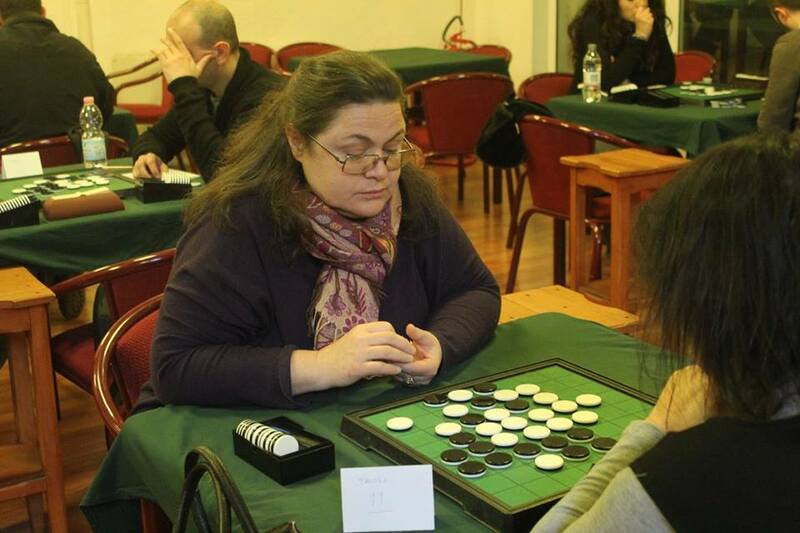 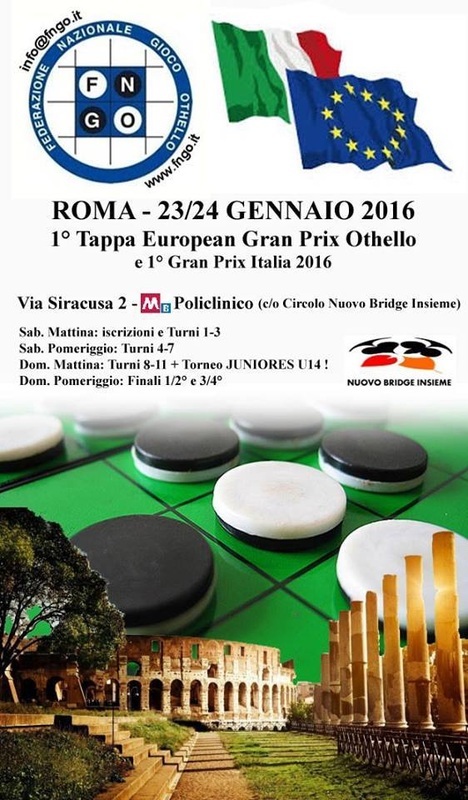 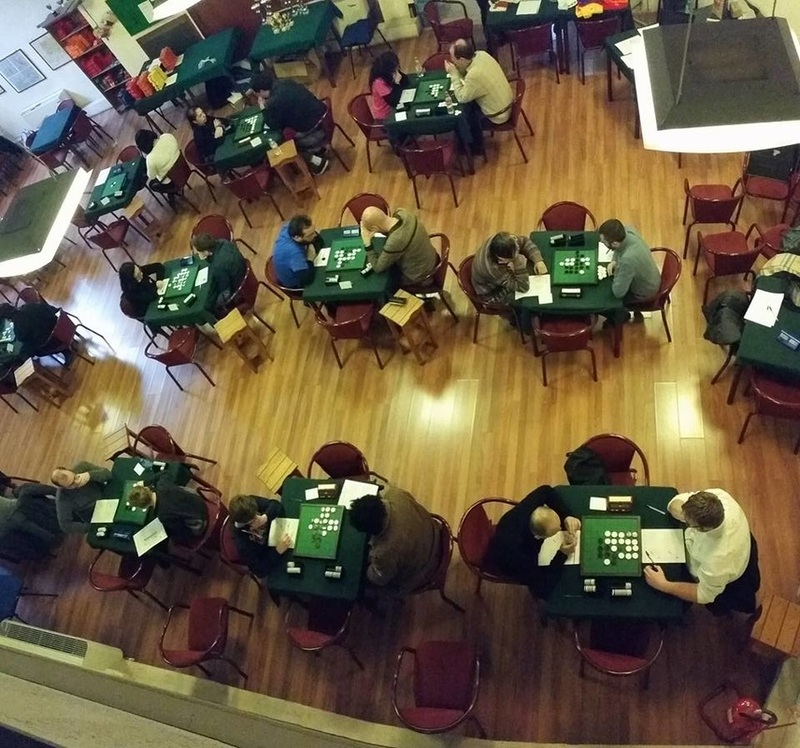 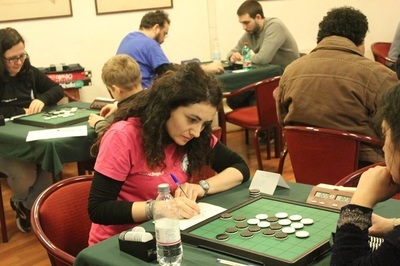 Welcome to Rome Othello Tournament, the first 2016 European Grand Prix tournament and the first Italian Grand Prix tournament. 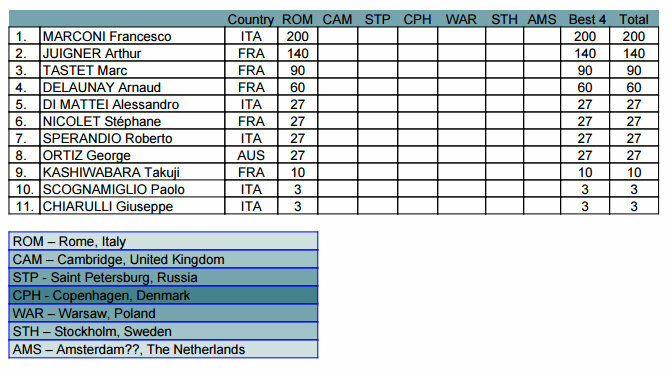 There will be 11 rounds, 7 on Saturday and 4 on Sunday morning. 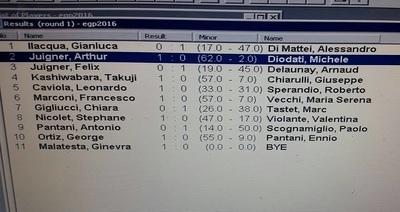 The final and semifinal will be played on Sunday afternoon. Clocks will start at 10:00 am. 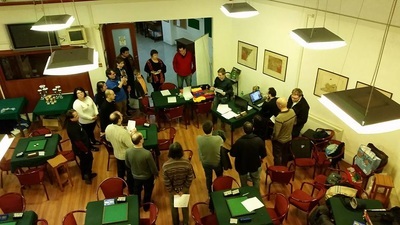 Please, registrate at least 30 minutes before the first round starts. 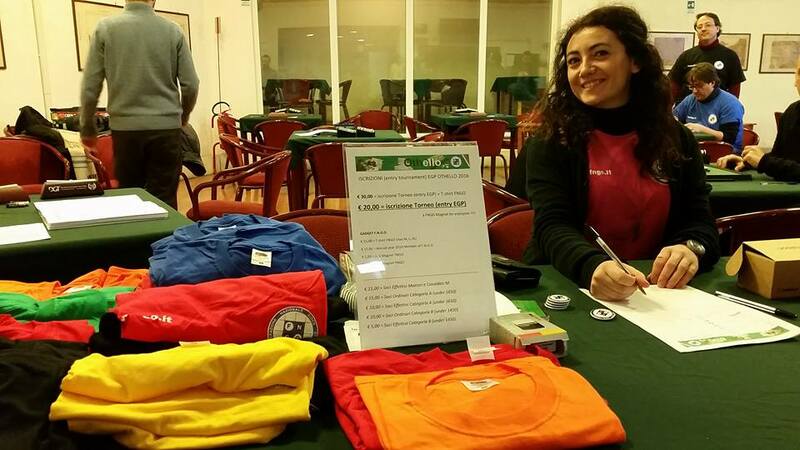 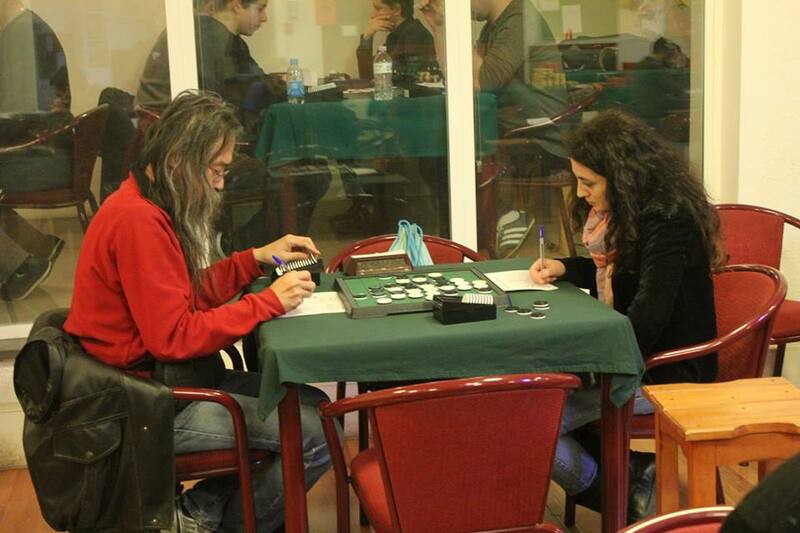 There will be prizes for the top three players, best woman and Italian A, B players category. 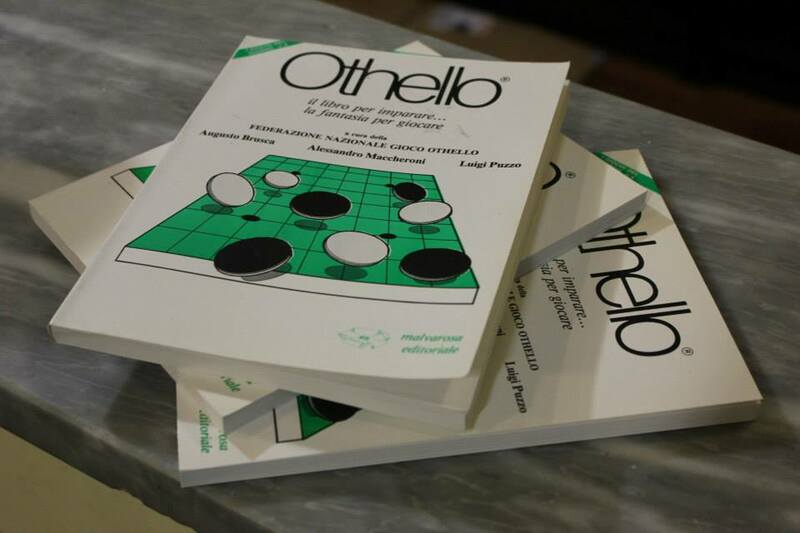 For more statistics visit Tom Schotte's EGP Statistics at Othello News. Thanks Tom for all your work and I hope 2016 will be a statistically fascinating EGP year. 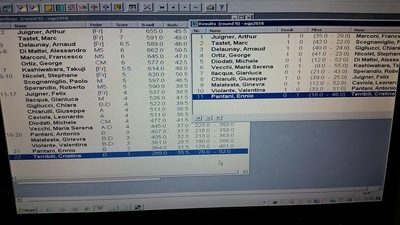 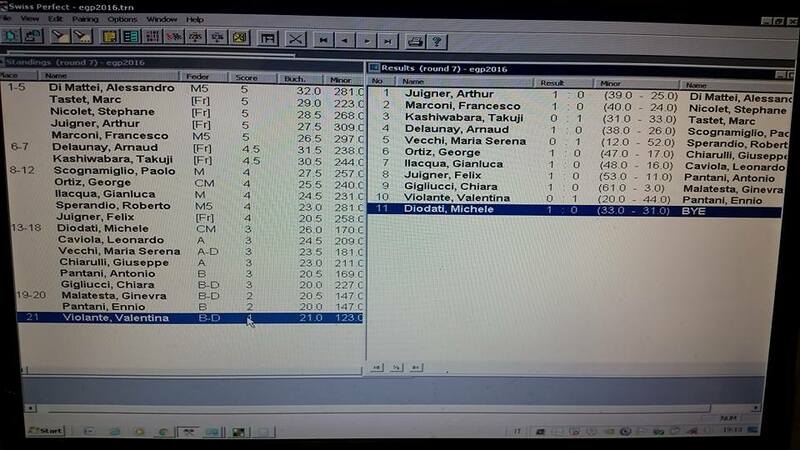 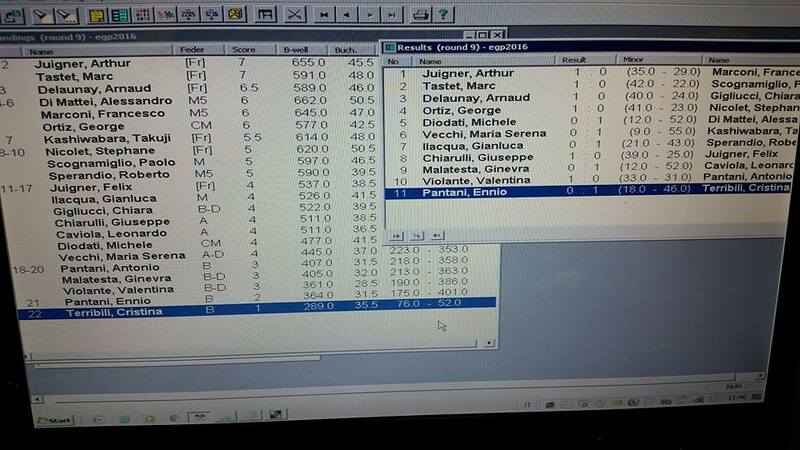 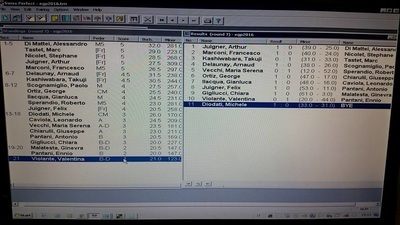 After round 9, Arthur Juigner and Marc Tastet were in the lead with 7 points. 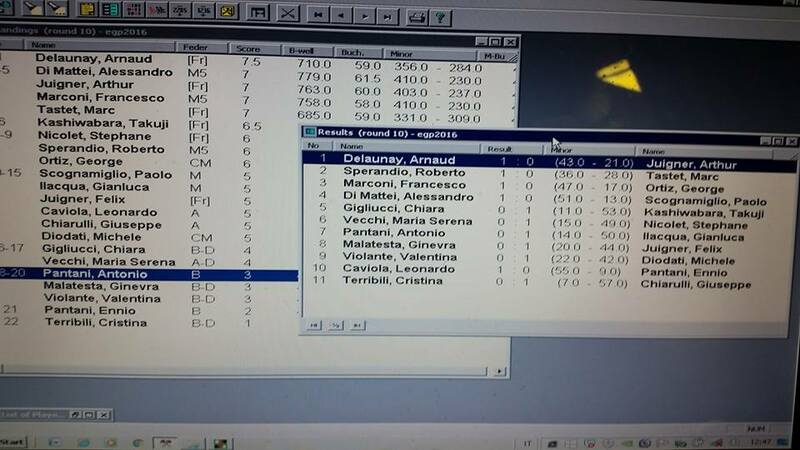 Only half a point behind them Arnaud Delaunay. 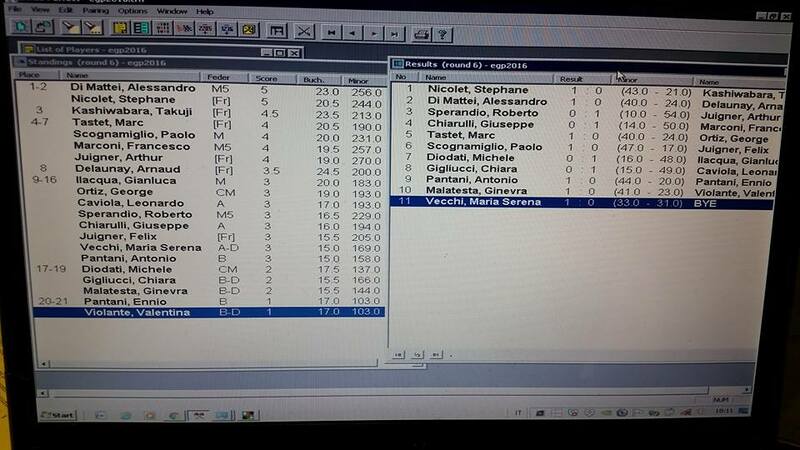 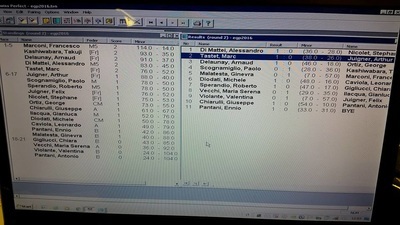 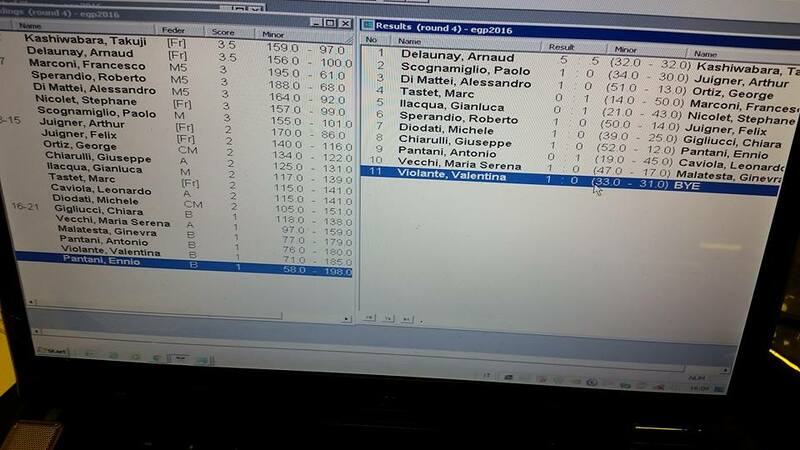 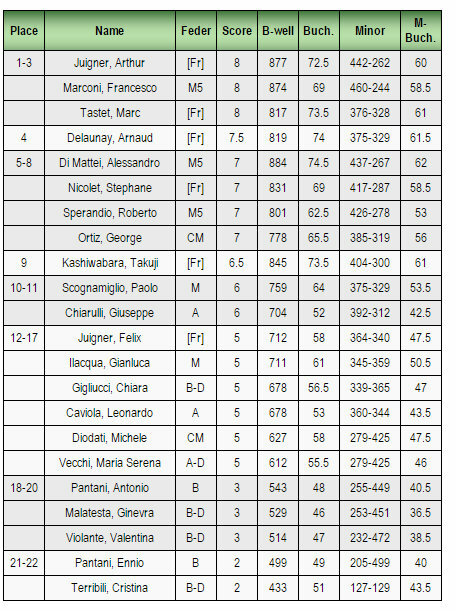 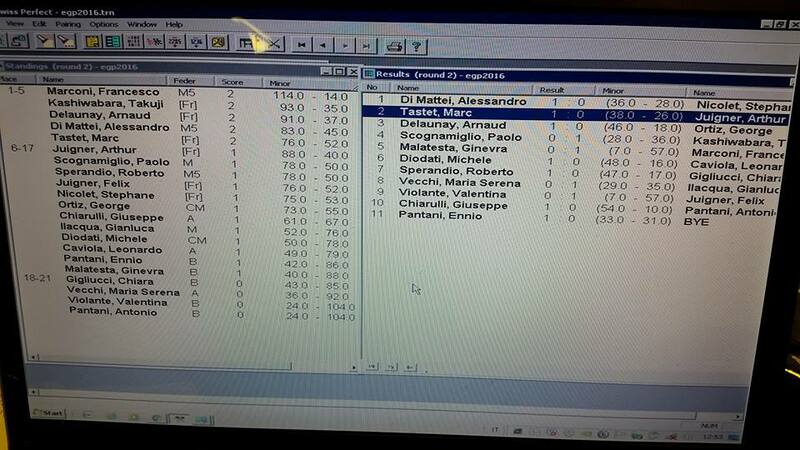 Three players with 6 points: Di Mattei, Marconi and Ortiz. 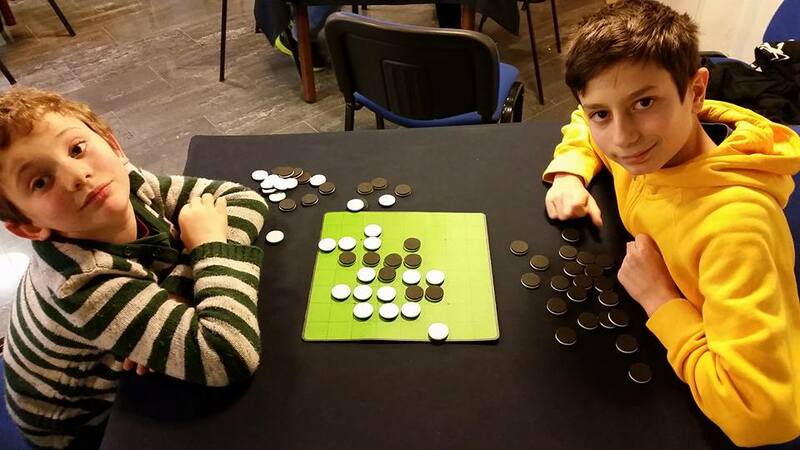 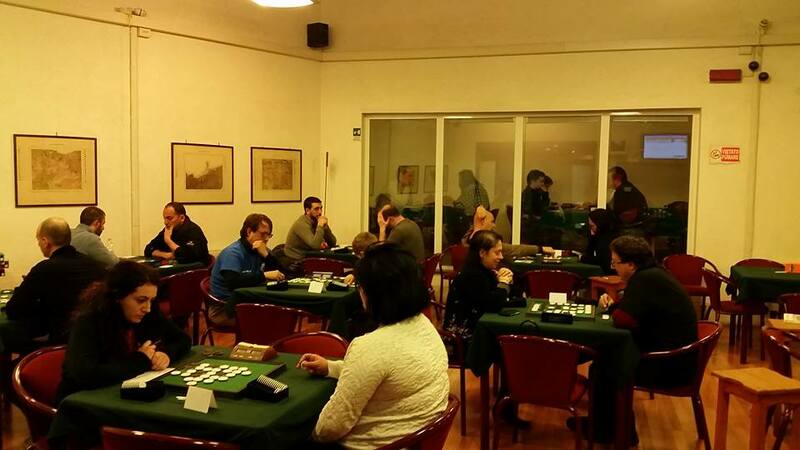 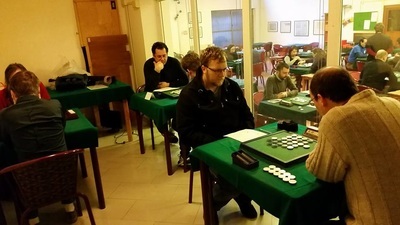 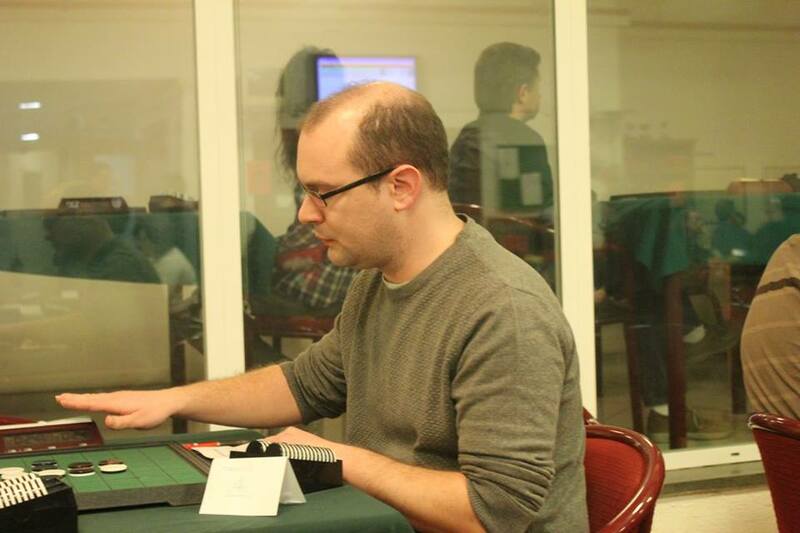 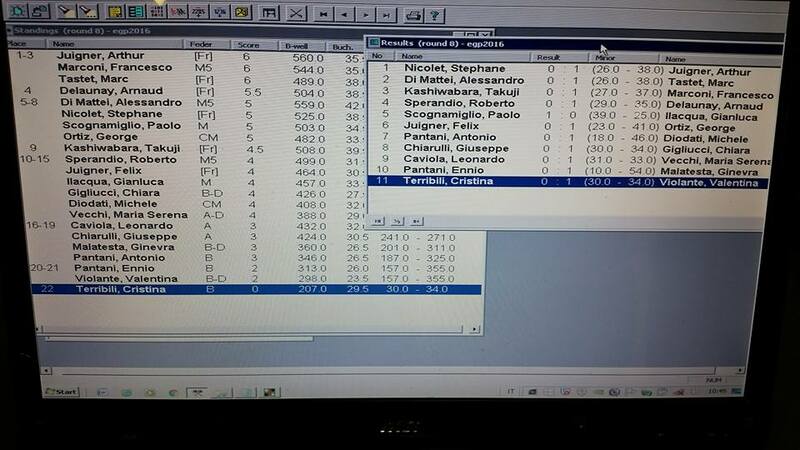 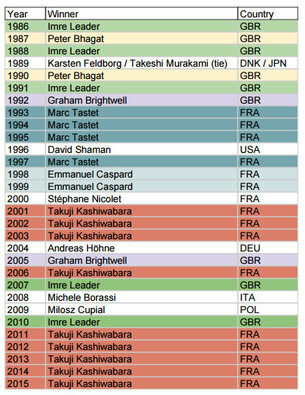 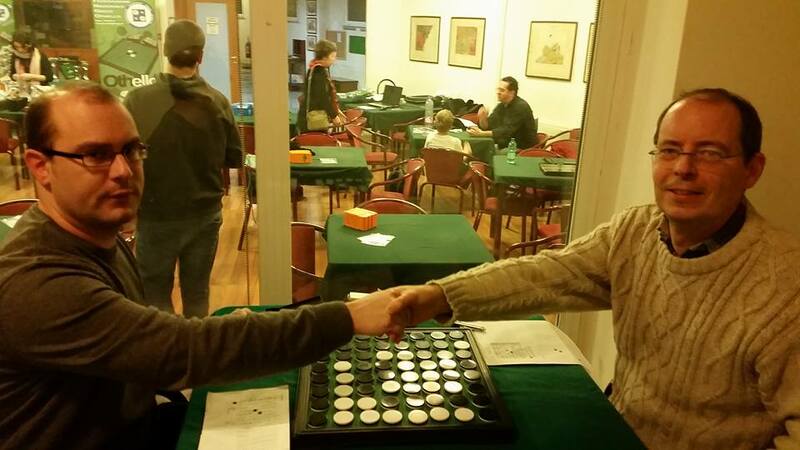 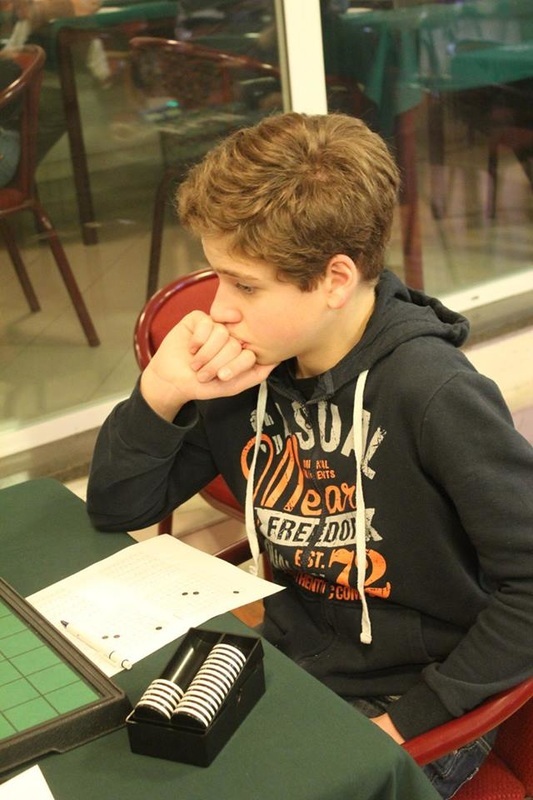 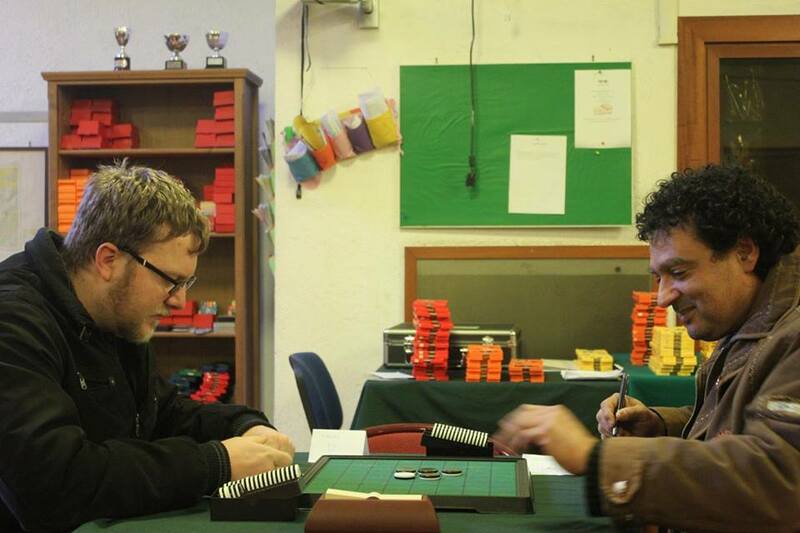 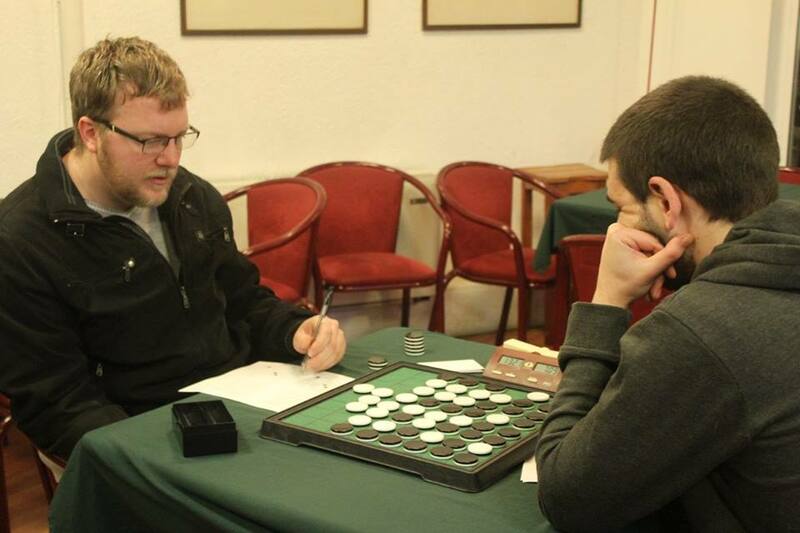 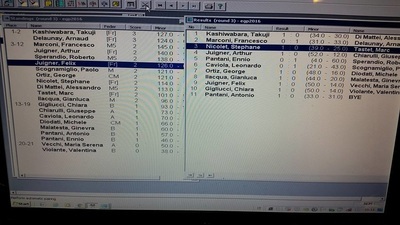 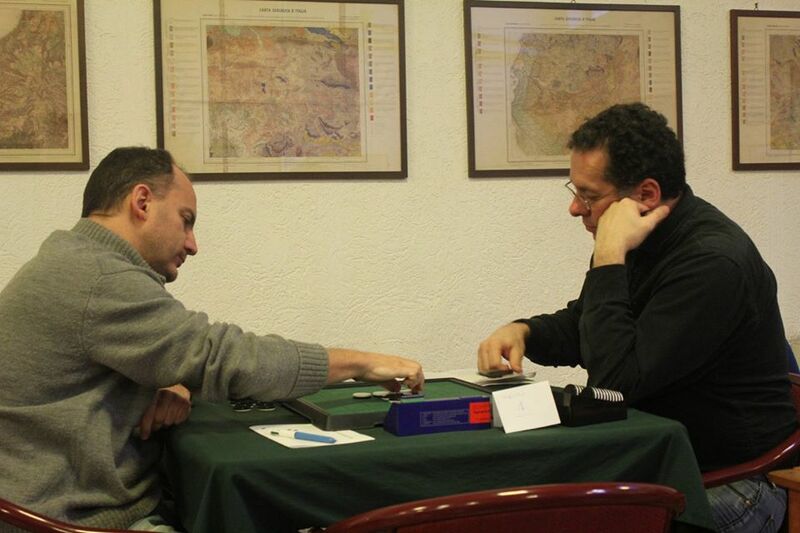 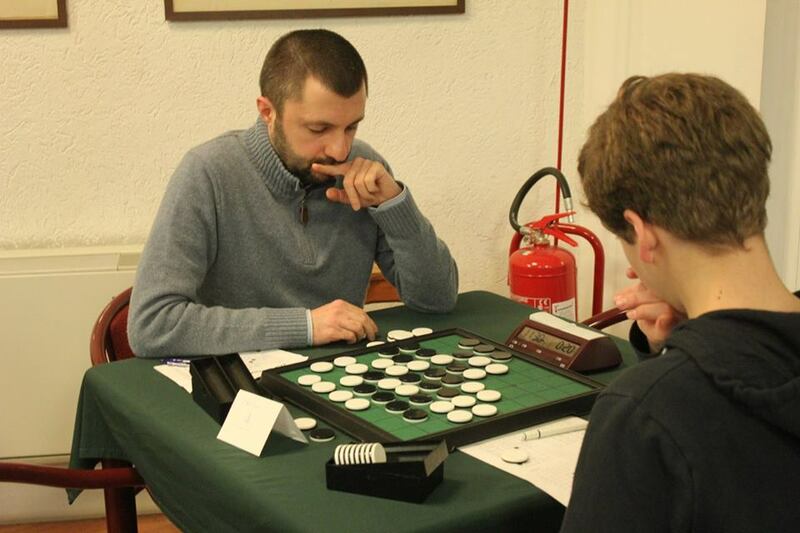 Arnaud failed to qualify for the final as he lost his game in round 11 against Tastet, Juigner defeated Kashiwabara and Marconi had a win against Félix Juigner. 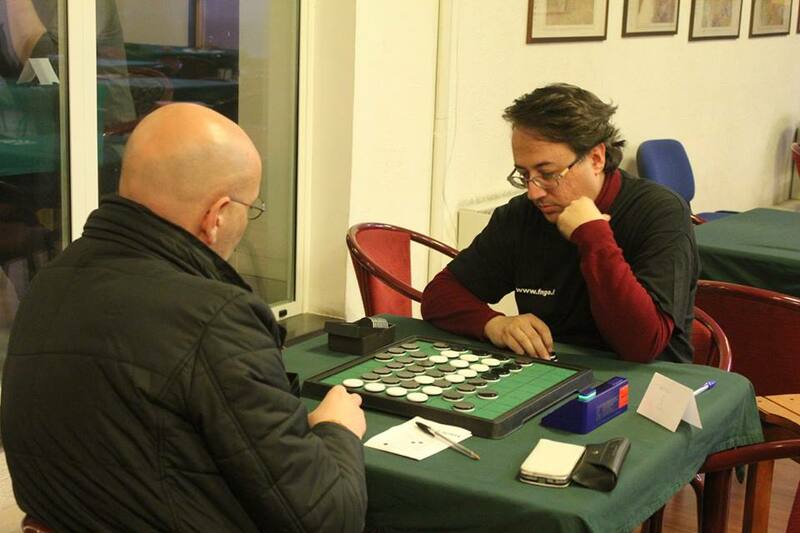 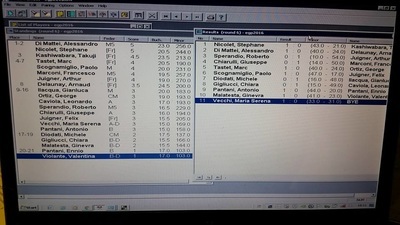 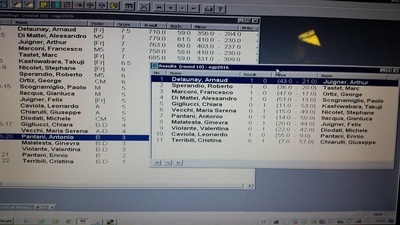 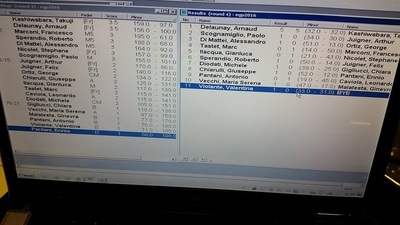 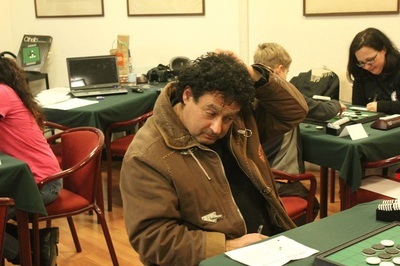 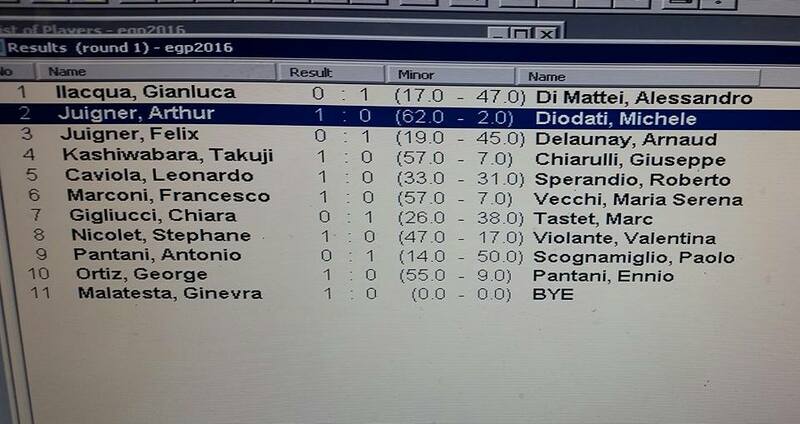 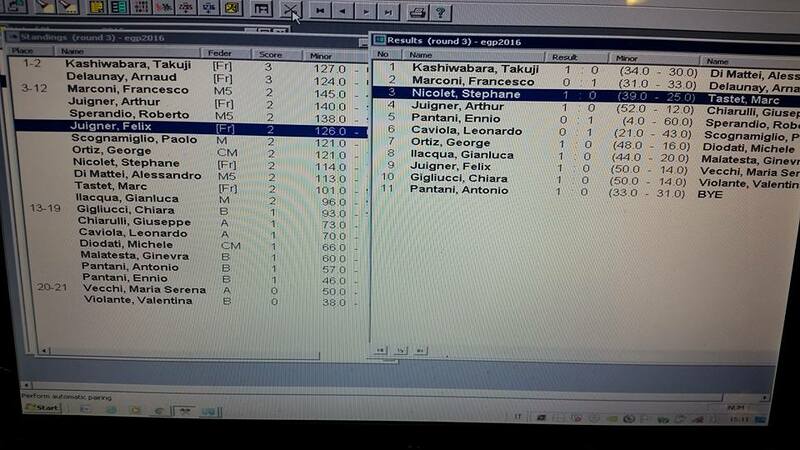 Franceso Marconi, scored 5 wins on the first day and was in the lead with 4 other players. 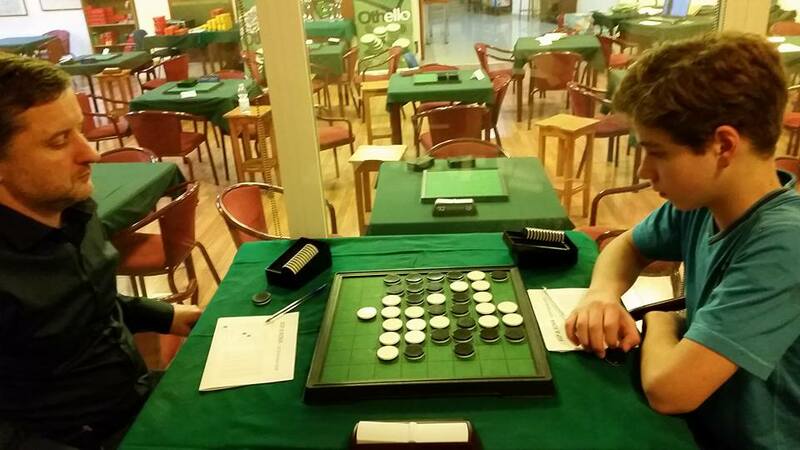 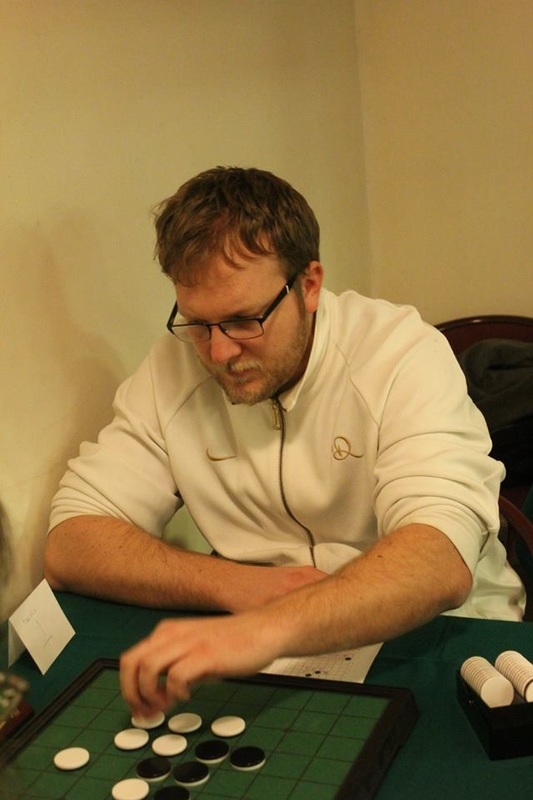 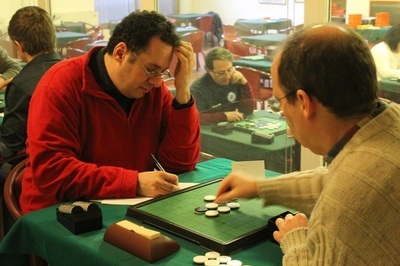 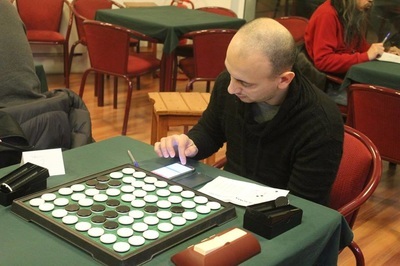 On the second day he won against Takuji Kashiwabara in round 8, but lost against Arthur Juigner in round 9. 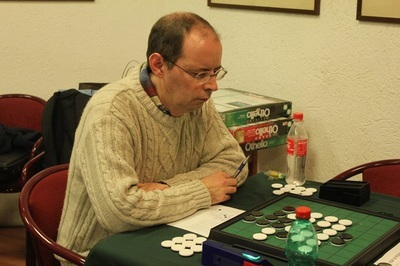 He then won his last two games in the Swiss rounds against George Ortiz and Félix Juigner. 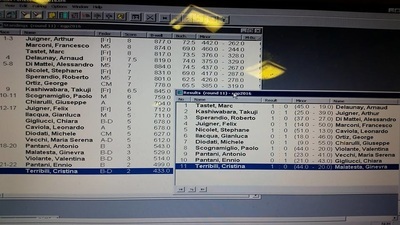 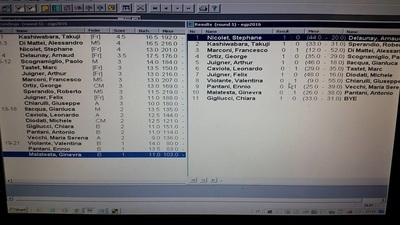 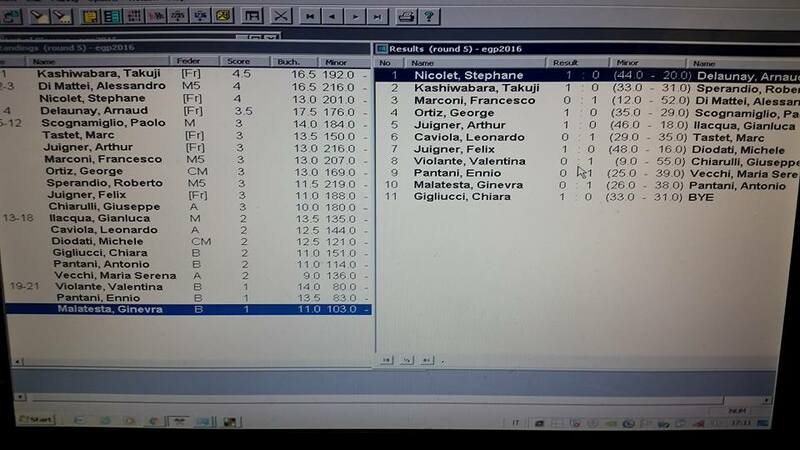 Francesco played a very good final and defeated Arthur 2-0. 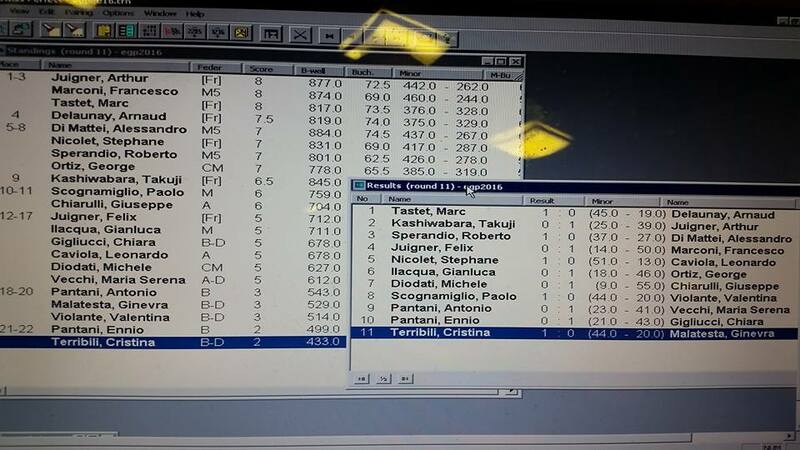 A great performance by Francesco but certainly also by Arthur.